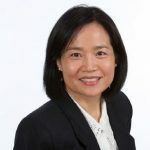 Ann Wang, CPA, MT of AW Financial Services is a certified public accountant and certified QuickBooks Proadvisor. She provides bookkeeping, accounting, and tax-preparation services including payroll, sales and use taxes, property tax, income tax returns, and IRS representation. She also does other financial services such as compiling financial statements, preparing budgets, year-end planning, and loan applications. Work For AW Financial Services? Claim This Page.